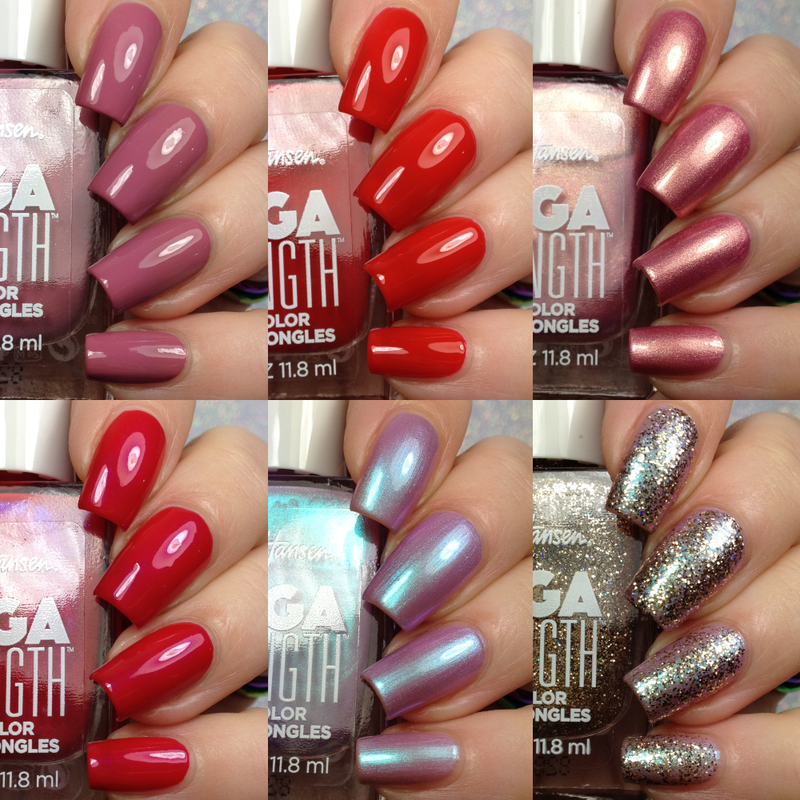 Mega Strength Color from Sally Hansen, their strongest formula to date. Infused with platinum – yes, platinum, this bold new collection fortifies and strengthens even the most brittle, broken nails leaving them mega strong. A High Definition brush ensures a flawless application. Can be described as a mauve pink cream. Can be described as a red jelly like cream. 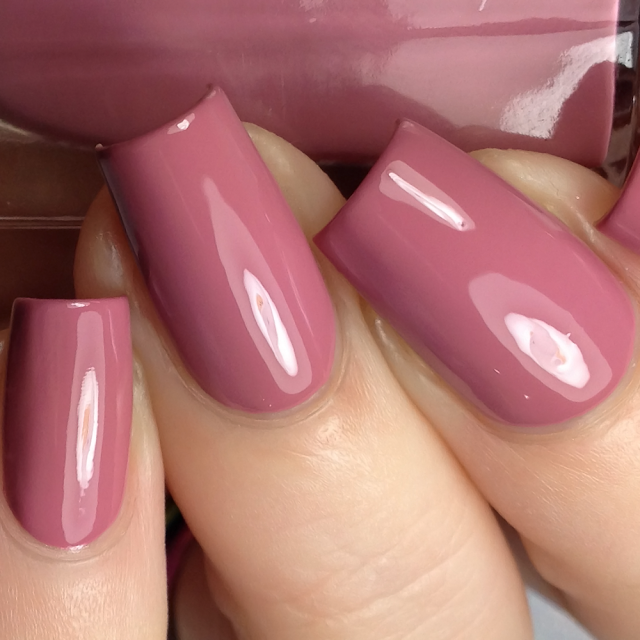 Can be described as a mauve rose pink shimmer. Can be described as a lilac purple with a blue flash shimmer. Shown here in 3 coats plus top coat. 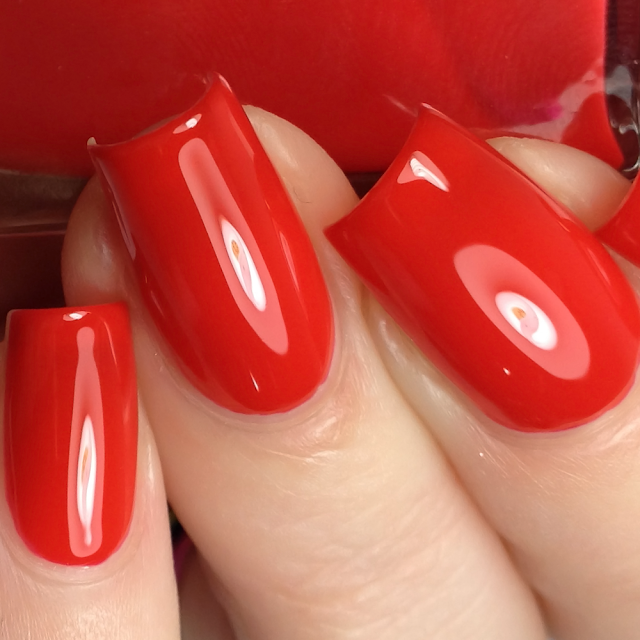 Formula was on the sheer side and needs 2-3 coats depending on your visible nail line. 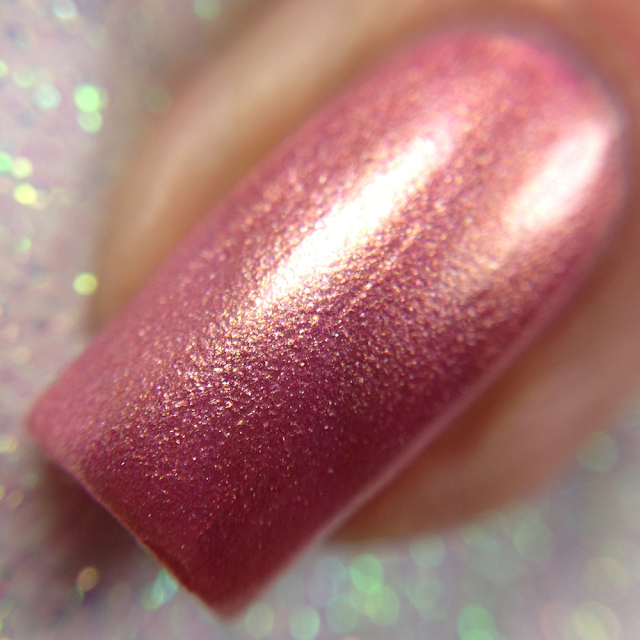 Can be described as a strawberry red with a purple flash shimmer. Can be described as a gold micro glitter. 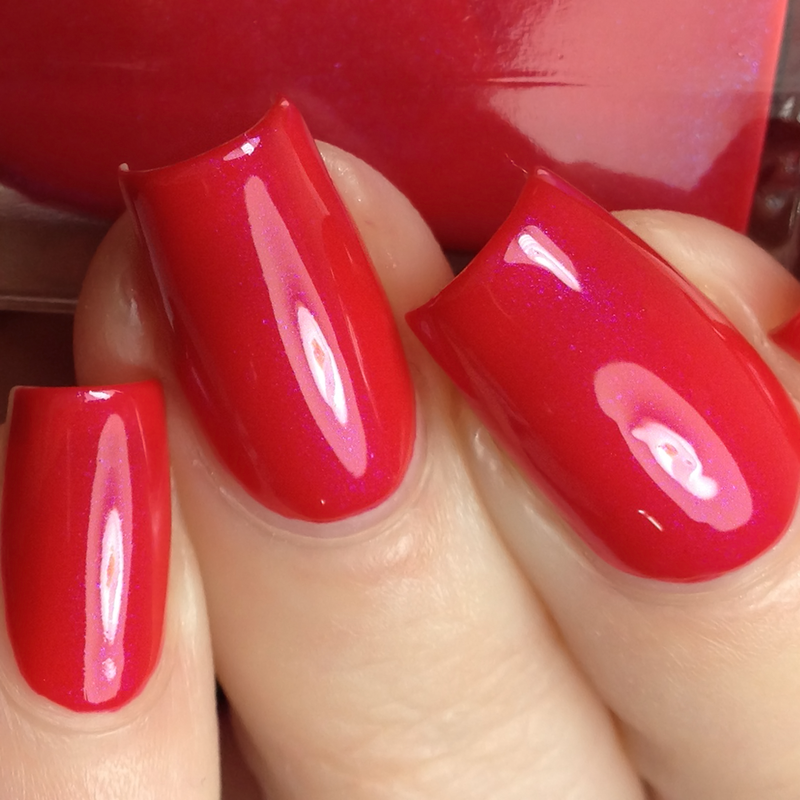 Shown here in 1 coat over "Persis-tint" plus top coat. Formula was good and applied well. These are all gorgeous. She-ro is my favorite so far from the ones I've tried.